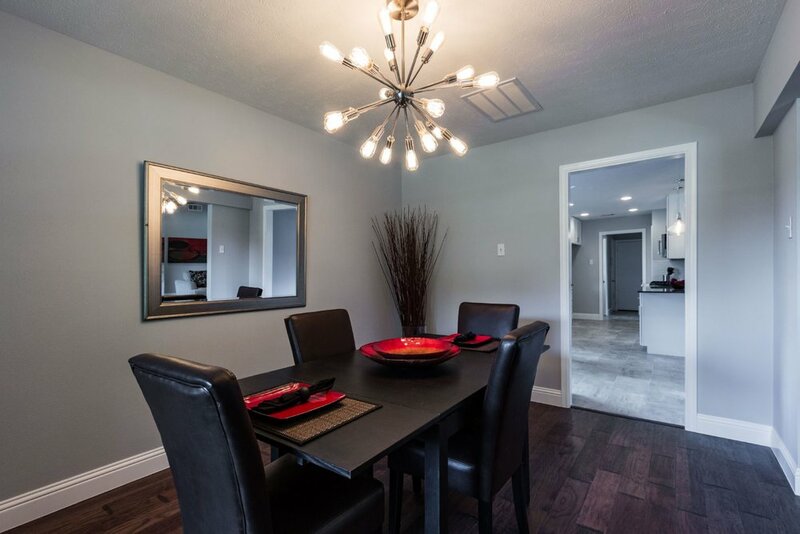 Like a brand new home, completely gutted almost everything new including roof. 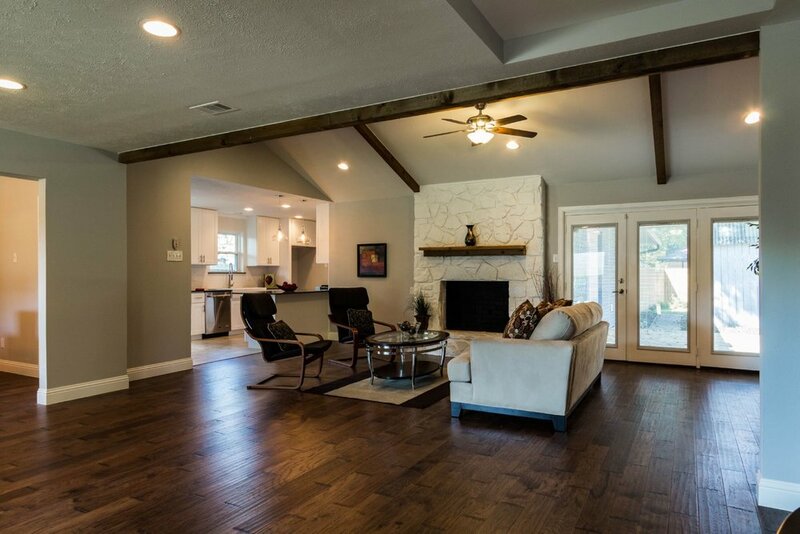 The Modern Open Floor Plan features beautiful hard wood floors which extend into the master bedroom and office, stone wood burning fireplace, vaulted ceiling with accent beams, 3 panel French doors with encased blinds, recessed and decor lighting, and ceiling fans. Freshly painted inside and out, all new windows and door hardware and, 6-inch floor molding throughout. 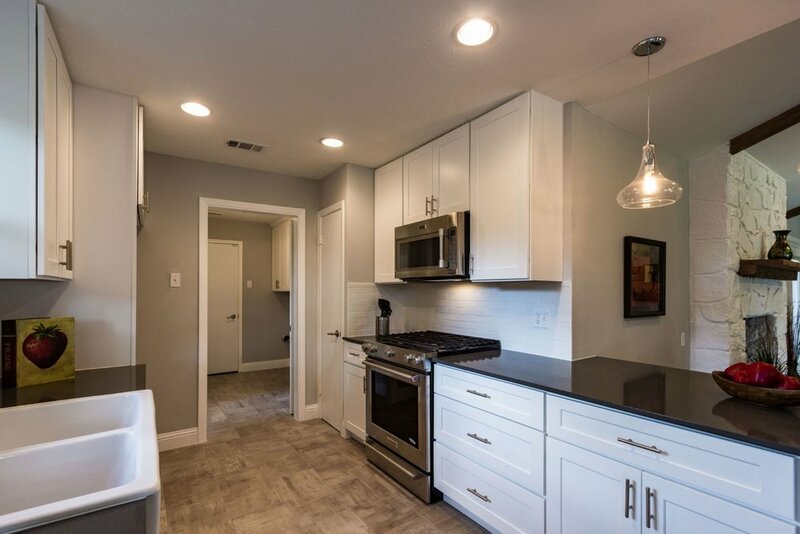 The remodeled kitchen features 42" cabinetry with soft close doors and drawers, quartz counter tops, subway tile backsplash, beautiful decor floor tile, all stainless steel appliances including a farmers sink with professional faucet and a high end 5 burner stove. 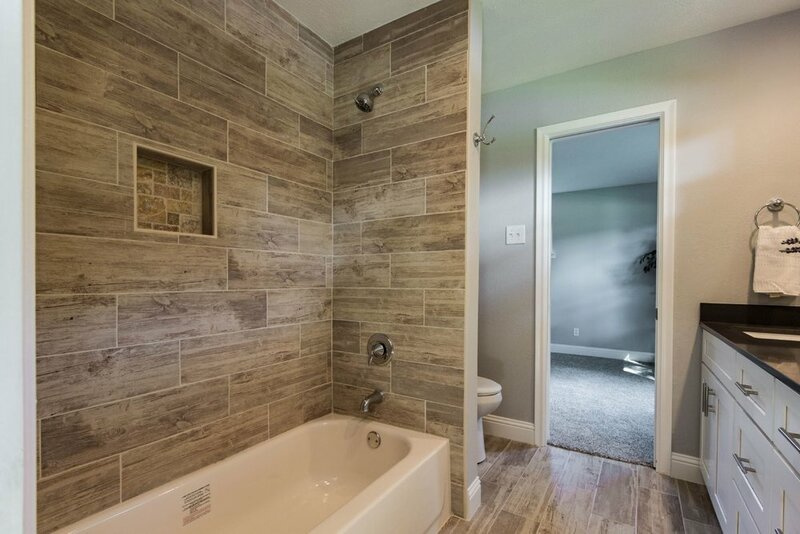 All baths have beautiful cabinetry, decor tile, dual sinks, oversized shower in the master and new tub in the 2nd bath. 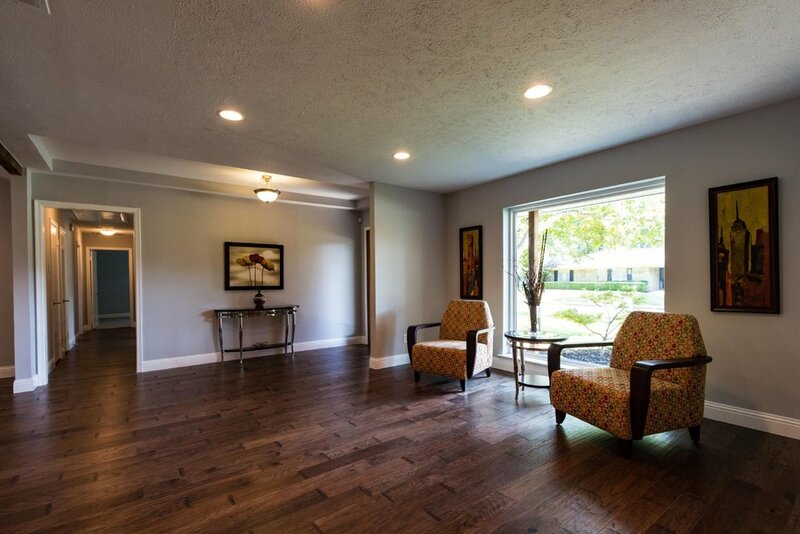 The master bedroom is huge with plenty or room for a king sized bed, dressers and a seating area. The 2nd bedroom is a large as most masters in the area. The 4th bedroom/office is split off the kitchen with French Doors leading to a beautiful patio with natural flagstone. The landscaping includes an automatic sprinkler system, gorgeous mature tree, lush grass and excellent wood fence.